Seaver College Social Science Division faculty, J. Christopher Soper, distinguished professor of political science, and Joel S. Fetzer, professor of political science, will discuss their new book, Religion and Nationalism in Global Perspective, in the Surfboard Room at Payson Library on Monday, November 5, at noon. 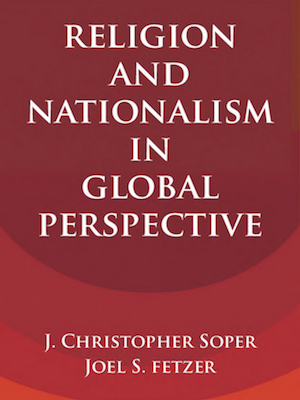 Having received both scholarly and popular attention, Religion and Nationalism in Global Perspective is the first comparative study to examine the origins and development of three distinct models: religious nationalism, secular nationalism, and civil-religious nationalism. Using multiple methods, Soper and Fetzer have developed a new theoretical framework that can be applied across diverse countries and religious traditions to understand the emergence, development, and stability of different church-state arrangements over time. The work combines public opinion, constitutional, and content analysis of the United States, Greece, India Israel, Malaysia, and Uruguay, weaving together historical and contemporary illustrations. For additional information about this free event, visit the Pepperdine Libraries website.